Alessio Lombardi, Global Maritime, explains how asset integrity management should address quality at every stage of the asset life cycle, from the design of new facilities to maintenance management and decommissioning. Whether FPSOs, semi-submersibles, or fixed platforms, the low oil and gas price environment over the last few years has made it more important than ever for operators and drilling contractors to protect their offshore marine assets and ensure their safe and cost-effective operations. And this must take place throughout the asset’s lifecycle from the conceptual design stage and construction right through to operations, decommissioning and abandonment. Asset Integrity Management (AIM) processes safeguard the ability of an asset to perform its required function effectively whilst protecting health, safety and the environment and ensuring that the people, systems, processes, and resources that deliver integrity are in place, in use and will perform when required over the whole lifecycle of the asset. AIM should address the quality at every stage of the asset life cycle, from the design of new facilities to maintenance management and decommissioning. Inspections, auditing/assurance and overall quality processes are just some of the tools designed to make an integrity management system effective. An offshore asset includes various components such as structures, machinery, process equipment, electrical/instrumentation/control and safety systems. Floating systems have the extra dimension of afloat stability, motions and station-keeping. The American Petroleum Institute (API) has standards for risk and reliability-based inspections for processes and equipment covering a wide variety of applications. Risk and reliability are also at the forefront of integrity management standards for structures, foundations, moorings and anchors. 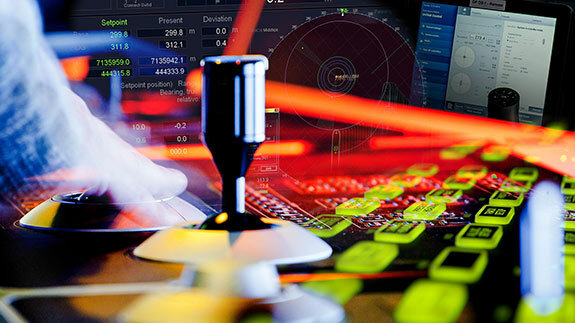 Failure Mode and Effect Analysis (FMEA), for example, are key for dynamic positioning (DP) systems. Although different in detail, all such processes converge to the identification of critical components and processes where resources are best employed to maximise results. An asset integrity management system, however, does not exist in isolation. In order to successfully implement an asset integrity management system in a dynamic operating environment, it is essential that all stakeholders have a consistent and a unified understanding of what the essentials of asset integrity are and how they can be applied in their day-to-day operations. Yet this is often cited as among the most significant challenges in achieving an integrity culture within organisations. Rather than a narrow ‘inspection-based’ approach to protecting assets that focuses on tracking the performance of specific equipment, asset integrity today must be prevalent and integrated across all business processes, systems and competencies during the asset’s lifecycle. This article will examine three main areas where asset integrity is at the fore – design, construction integrity, and operational integrity. It will also look at specialisms, such as marine warranty services and inclining experiments, which play an important but not always well-publicised role in protecting assets today. Specific application examples will be used throughout. The design of marine and offshore assets determines asset integrity programs well into the future - setting the standards and providing a platform for future AIMS. Effective decisions at the design stage can prevent costly problems from occurring after the asset has been built and is in operation. It is therefore key to consider asset integrity issues, such as inspectability and equipment reliability as early as possible in design. Hydrodynamic analysis is also vital. The need to perform initial motion response analyses of ships, drilling rigs and other floating structures; predict sea loads, including slamming and global load effects; and design and analyse mooring systems are all key elements in creating safe, operationally successful and cost-effective assets. Global Maritime, for example provides a wide variety of design and accompanying engineering services crucial to asset integrity. This includes feasibility studies, Front-End Engineering Design (FEED), basic and detailed design, design reviews and risk management services. Global Maritime also has its own developed designs for semi-submersibles, jack-up vessels and mono-hull vessels. Moving into the construction phase, services that are crucial to asset integrity include the structural strength analyses of vessels, jackets and modules for transportation, lifting and installation; the measuring of the fatigue life of major structures during transportation, installation and in-place load regimes; and risk-based structural assessments. The handover of information and continuity of the design engineering effort well into construction is an important step to prevent costly problems during operation of the asset. Global Maritime has recently been involved in multiple jack-up designs for a Chinese-based offshore vessel investment company. One of the designs is for the GM-J1000, a self-propelled, versatile and compact general-purpose jack-up vessel that is designed for construction and support operations in the offshore sector. Such vessels can also play an important role in the ongoing and future development of wind farms. In this case, asset integrity was prevalent throughout the design as Global Maritime combined its expertise in hydrodynamics, stability, motion analysis, Dynamic Positioning (DP), structural design and analysis, and mechanical systems and drafting. Another example is in the Caspian Sea. With the Caspian Sea suffering an imbalance of supply and demand with limited ship and offshore construction yards, Global Maritime recently completed the concept design of the GM-J350M (Zip Jack). The Zip Jack is a self-elevating, drilling jack-up vessel capable of operations worldwide, although optimised for use in the Caspian Sea. 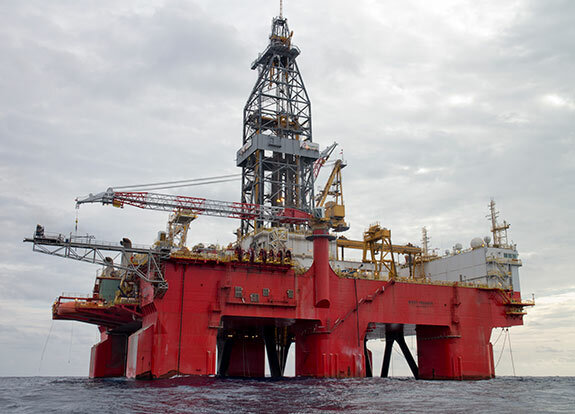 Global Maritime developed the full concept design for the rig, including layouts, structural analysis, deck and keel connections, the assembly process, and stability for each module during transit. With limited width access to the Caspian Sea via the Volga-Don Canal System, the Zip Jack has been designed for modular construction with a compartmentalised design for independent transit. This also enables the rig to be deployed anywhere in the world without the need for heavy lift vessels. In this case, the vessel was commissioned outside the Caspian and then disassembled for transportation. The accommodation block can be dismantled into mostly 40 ft containers and transported on an independent vessel, truck or train. Arriving at an assembly harbour within the Caspian, the unit can then be ‘self-assembled’ in very short time frames with minimal external input and without the requirement for dry-docking. The result of this innovative engineering approach is a highly flexible vessel built on asset integrity. The role of marine warranty services in protecting clients and underwriters’ assets is also an important element of our new broader definition of asset integrity and is particularly important during the design stage. Typical marine warranty services consist of reviewing all relevant engineering, design and marine procedural documentation, vessel inspections, site preparations, and associated surveys and audits. One such example is a recent marine warranty services project Global Maritime carried out in a Singapore shipyard. The project involved modules installation onto an FPSO vessel that would then be transported to Offshore Angola. In this case, the Global Maritime engineering team witnessed the weighing and installation of more than 40 modules onto the FPSO, all of which took place in the Singapore shipyard. Phase 1 of the project – the installation of mooring chain and suction pile – has just been completed in offshore Angola in preparation for phase 2 of the project that is the hook up of the FPSO – likely to take place later this year. The example shows how marine warranty is playing a vital role in the overall integrity of the asset. The third area to be covered in this article is that of operational integrity. There are a number of reasons why asset integrity is so important at this stage. There is the need to track such significant investments to ensure maximum returns. There is also the need to harmonise systems across multiple teams and assets and put in place the necessary maintenance/inspection planning and safety work processes to ensure effective operations. While, traditional asset integrity management areas might include qualitative risk-based inspections (RBI) or the updating of inspection, repair, and maintenance (IRM) plans, there are other areas that form part of a complete asset integrity management programme. An example of how an asset can be protected while also ensuring that the asset remains in operation can be seen in a recent offshore deadweight survey and inclining experiment that Global Maritime conducted on Seadrill’s deep-water semi-submersible drilling vessel West Pegasus. The survey and experiment took place at the same time as ongoing drilling operations. A deadweight survey determines the lightship weight, which directly affects how much a ship can carry. An inclining test determines the coordinates of its vertical center of gravity, which is required to determine a vessel’s stability. The International Maritime Organisation (IMO) specifies inclining test requirements and procedures, with such processes being an important element of integrity management. In this case, the successful project was the first time an inclining experiment has been conducted for a DNV GL-classed drilling vessel in parallel with ongoing drilling operations. Inclining experiments are typically conducted in an inshore area sheltered from wind and waves, with the vessel at least partially unloaded in order to ensure measurements of sufficient accuracy. This project however, took place with the semisubmersible fully loaded 160 km offshore Mexico and with end of well activities still underway. Other solutions that Global Maritime developed as part of the project included the design and fabrication of customised measurement instruments as well as a temporary system to allow the recording of vessel drafts from within the hull, eliminating the need to read the external draft marks from a small boat. The end result was a project that ensured the operational integrity of the asset but also delivered significant costs savings. According to Global Maritime, the experiment’s successful completion saved the client at least US$10 - 15 million in downtime and transit costs and incurred less than half a day of official down time. Asset integrity today covers all elements of the project lifecycle. It includes equipment, people, processes and specialisms described in this article, such as marine warranty services and inclining experiments. It’s through this integrated and consistent approach that permeates all activities that marine assets can be protected and safe, seamless and cost-effective operations secured.